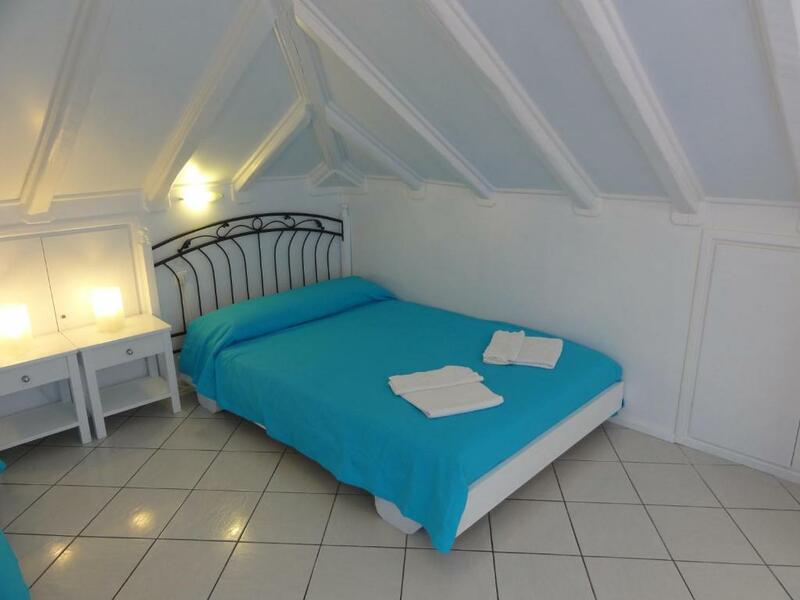 Lock in a great price for Botsis Guest House – rated 8.9 by recent guests! Second time and still excited! Everything is more than perfect. Hydra is an paradise. We appreciated the clothesline. Also liked that there was an electric teakettle. Staff was helpful and made computer and printer available for us to use. We loved the outdoor balcony, which could comfortably seat 2 and had a great view. The staff were SO NICE! We came at 10AM and they let us drop our stuff in our room even though it wasn't ready. The location was perfect. Great location.Quiet. Comfortable. Good Staff. Sweet kitten. 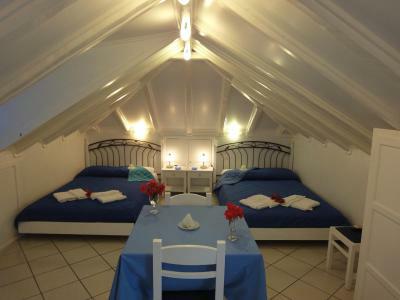 This is a lovely guesthouse just a minute from the Port in Hydra. The host was very welcoming and informative. Everything was at it was described on the website. 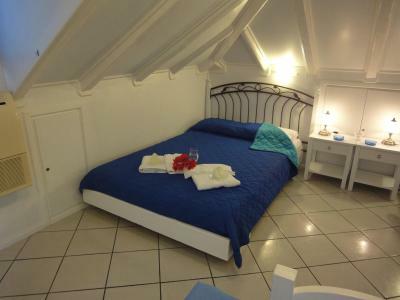 I had a fantastic big room with a terrace, the room itself was very comfortable and had everything I needed. Having a fridge in the room was great. The wi-fi was really good and better than other locations on the island, a number of my colleagues staying elsewhere found it difficult to connect! 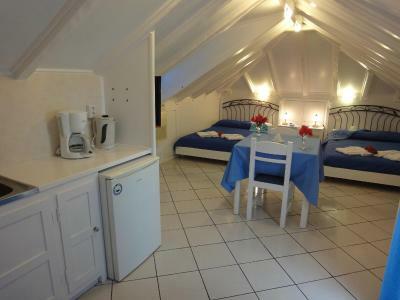 There was a communal kitchen which I didn't use - but this would have been good for someone staying on holiday. Being able to borrow beach towels also a good added extra - thoughtful! We really loved to stay at Botsis. We liked our room, and we had everything that we were expecting: shower, toilet and a refrigerator. We will stay here when we come back! We loved it, just about 2-3 minutes from the harbour. 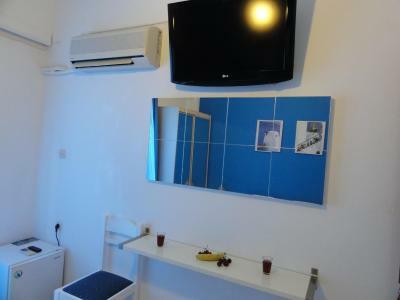 Friendly chatty staff, nice comfortable, acceptably clean room. Basic, but included everything you needed. Great location, just off the harbour. Very quiet at night. Very reasonable to be right in the heart of the port, excellent view from our Attic window, self catering facilities (Little fridge, hot plate, coffee maker, toaster). 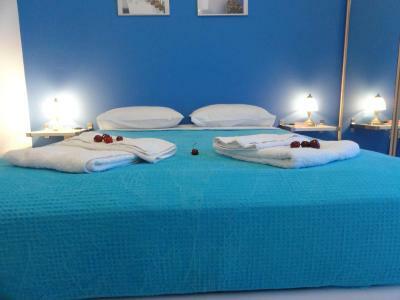 Clean room, lovely sheets, friendly hosts, willing to give us tips, facilitate fresh laundry, point us here and there. Animal lovers too! We loved it. 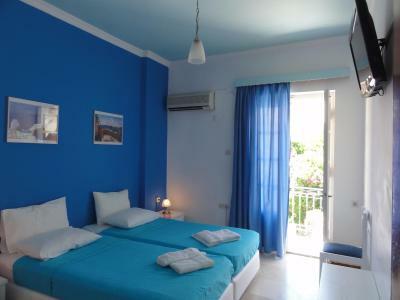 Beds super comfortable,freshly painted in my favourite colour white and blue, balcony with a good view, quiet, helpful staff , great position close to port and all amenities ,towels for the beach. Our host Anthony definitely went the extra mile. I couldn't find a ferry ticket online for my return leg to Piraeus on the day i was meant to fly from Athens, but Anthony found and gave me the ferry ticket I needed, which he had organized from the local port authorities. He also gave me an alarm clock so that i wouldn't miss the ferry. We enjoyed some good conversations. Thank you for a perfect stay. One of our best sellers in Hydra! 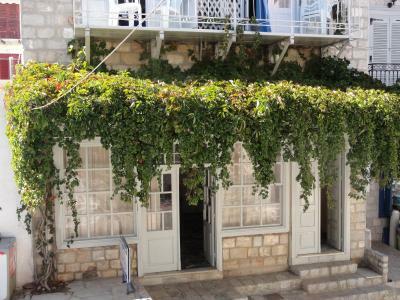 Botsis Guest House is located just 250 feet from the Hydra Island Harbor. 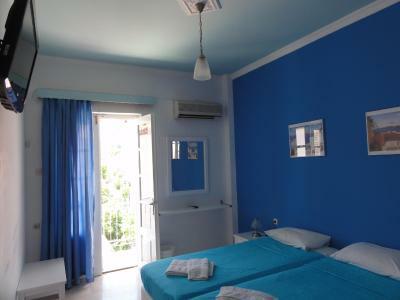 It offers spacious and modern rooms that boast private balconies and air conditioning. 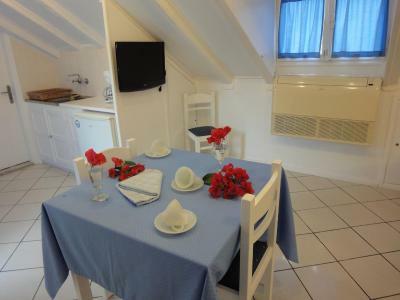 For convenience, the Guest House Botsis provides a fully equipped kitchen for all guests to use. Restaurants and bars are also less than a 5 minute walk from the hotel. 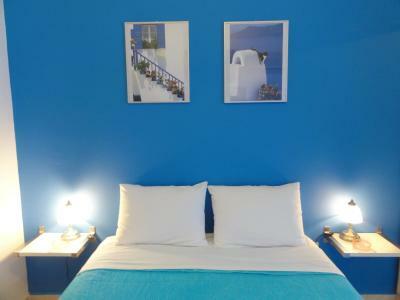 The Botsis Guest House Hydra features free Wi-Fi throughout the entire hotel. 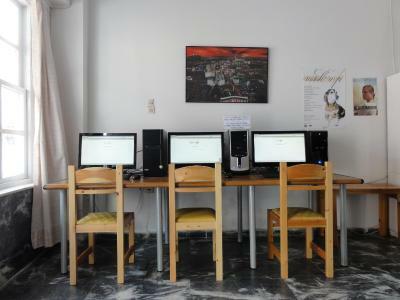 Guests have free access to personal computers in the lobby. 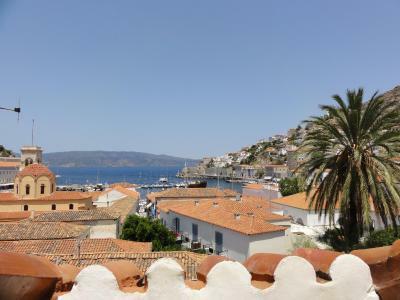 뀐 Located in the top-rated area in Hydra, this property has an excellent location score of 9.5! 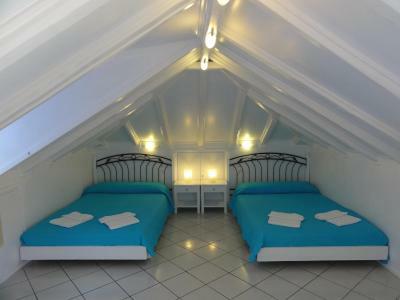 When would you like to stay at Botsis Guest House? 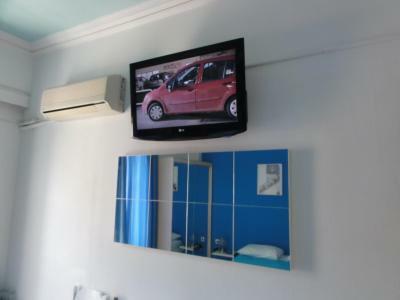 Decorated in a minimal style with light colors, this air-conditioned room features pillow top mattresses, fridge and 32'' LCD TV with satellite channels. It opens out to a private balcony. 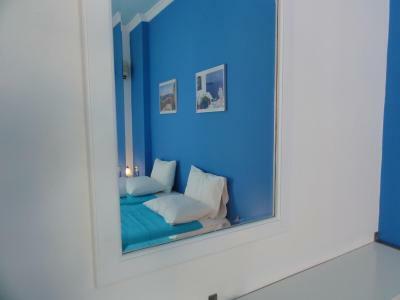 Featuring a white-beamed ceiling, this air-conditioned studio is decorated in a minimal style. 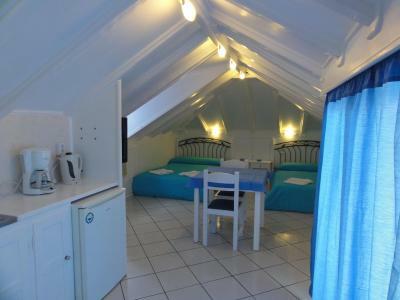 It features pillow top mattresses, fridge, 27'' LCD TV with satellite channels and a private balcony overlooking the harbor. House Rules Botsis Guest House takes special requests – add in the next step! Great location. Clean comfortable rooms. Have stayed here before and nothing disappointed on second visit 4 years later. We got stuck there through storms and had to stay extra nights due to no ferry crossings Staff amazing very helpful couldn’t have done anymore!! Will visit again! Bed very comfy. I stayed a few years ago and was happy to return. Close to everything and staff very helpful. Excellent location, and good value . Helpful and friendly owners and staff who were available if needed. 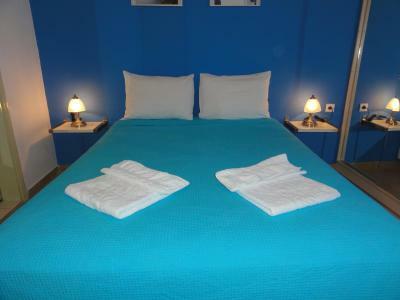 The room was bright and clean and the bed was changed during our 6 night stay. The towels were also replaced regularly. The guest house also provided beach towels and computer access free . The bed was very comfortable. A small shared kitchen was available to use. This, along with a fridge in our room and a good supermarket next door, enabled us to make breakfast and snacks to have while sitting on our balcony watching the world (and donkeys !) go by . Bliss. Bathroom is next to the bed with flimsy sliding door so no privacy and you can hear everything going on inside. Cleanliness was ok but certainly not scoring a 9 as per score given on Booking (hairs in the bedroom on the floor on arrival and stains on bed cover). 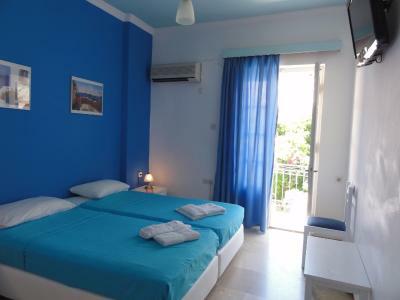 The staff were welcoming and helpful, but not very professional - very loud early in the morning, forgot to bring us the iron, and didn't provide a twin room as requested (for some reason it seemed the request did not appear on their booking). The staff was very nice. They were cleaning the room every day. Very good location. There were also towels for the beach in the hotel. We will come back again. Amazing view from balcony. Possibility to have a shower after the check out.